This Double Digest contains OVER 140 PAGES of content, including fan-favorite Pat the Brat! 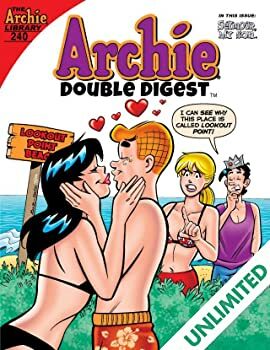 Archie and Chuck prepare to enjoy a day at the beach, but what to do first? Surf, jet ski, parasail? The possibilities are limitless...however there's only one activity they both can agree on, and you'll never guess what it is! Discover for yourself by the conclusion of "Shore Thing" in this laugh out loud digest! 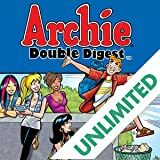 Check out the exciting adventures of Archie Andrews in this super-size book! With a blend of new and classic stories, puzzles, games, and more special features, you can't go wrong! 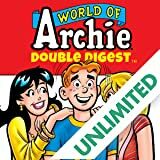 There's a whole world of Archie comics out there, and you can find them all right here! Check out over 140 pages of fun, with special guest appearances from Josie and the Pussycats, the Super Teens, Cosmo the Merry Martian, and many more! 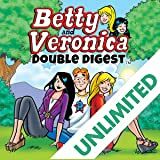 Being the most popular girls at Riverdale High means that Betty & Veronica have a lot of friends! Check out tons of stories, games, puzzles, and more! Nothing's better than 100+ pages of laughs and love triangles! Read some of the best stories from best "frenemies" Betty and Veronica! 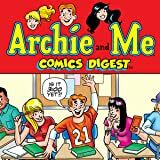 Hang out with Archie and his pals in the ARCHIE AND ME DIGEST series! Check out over 120+ pages of all-ages fun and hijinks, with a new lead story in every issue!